Home / psychology / self love / writer's muse / writing / Game of Chess!!! How often you can hear your inner thoughts prompting your muse? How often you introspect yourself and discover the soul within you? The so-called mundane life waits for a miracle which even seems like a distant dream .An existence completely burnt out in the spark of destiny. Milestones standing tall obstructing every little thing ….And an urge to seek the divine solace calling me,How can I embrace those things which is not meant for me, How can I leave my pen so easily is the unanswered question hovering in the sky of my life .My existence is sandwiched between the ugly world of materialism and the good world of humanities. A tug-of war going through my mind these days to win the lost battle! I want to go out and be loud and clear about my preferences, I want to fly in my aero plane of words to the land where my distant emotions will be recognized and rewarded…. I am tired from life acting so indifferently with me ,showing nothing but only failure ….Well may be these thoughts are not felt by only me but someone like me can easily go through this events .Its called depression in simple English but I believe they are short-lived and shouldn’t be carried away with this feelings anymore. There is always a silvering lining and the star shine of hope should always guide us to the way to happiness and tranquility .These moments should be treasured because they can really inspire you to write the most creative piece of your life. I love to be sad because whenever I feel these emotions in me, I am usually followed by moments of happiness…they are ephemeral in my life, as the pain cant drive my emotions to a dungeon. Challenges creates a feeling of deep introspection, makes me strong from within and ultimately the passion within me lights up to brighten the horizon….phew!! !Lots of poetic lines I guess. Well nowadays I am getting the right kind of vibes from outside and from within and my deep love for writing unexpectedly increasing in the speed of life, my ideas getting its outlet to burst out in the right kind of time and I am finding that literally bliss which I was craving from my childhood. My memoirs are shaping into reality and I hope my ambition to complete my novel will soon see the light of the so-called day. I am happy now; the pain gave me that strength which I never imagined to acquire. My loneliness often takes me to the world of my own where I talk with my soul which makes me laugh and even cry and suddenly I find myself completing a piece like this phew!! !However my planets are with me these days…I can sense a distant call from someone which can change my life, if not a crazy world is certainly waiting to see my rise.I don’t want to make this a diary entry rather I want to make it a mouthpiece for all those people who thinks like or I think like them…. This is a crazy world guys so in order to survive you need to voice out your blurred voice….otherwise the rebel inside you will kill you !!! I don’t want to be a sadist and jot my insane feelings against everyone, everything going against me rather try to take them as a challenge which I hardly want to do but is the only option left in order to beat the harshness of this cruel world now. The hope will be always high, expectations may be even higher !! 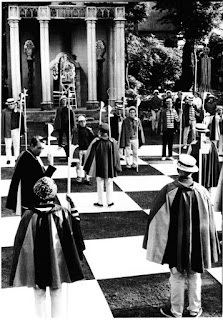 !No mater if life unfolds its ugliness in front of us still we can move ahead to convert them into whatever we want…..Life has to go and so is me and you…anyway after the game is over the king and pawn goes into the same box…..